It's a game changer when it comes to making bathrooms sparkle — here's why. 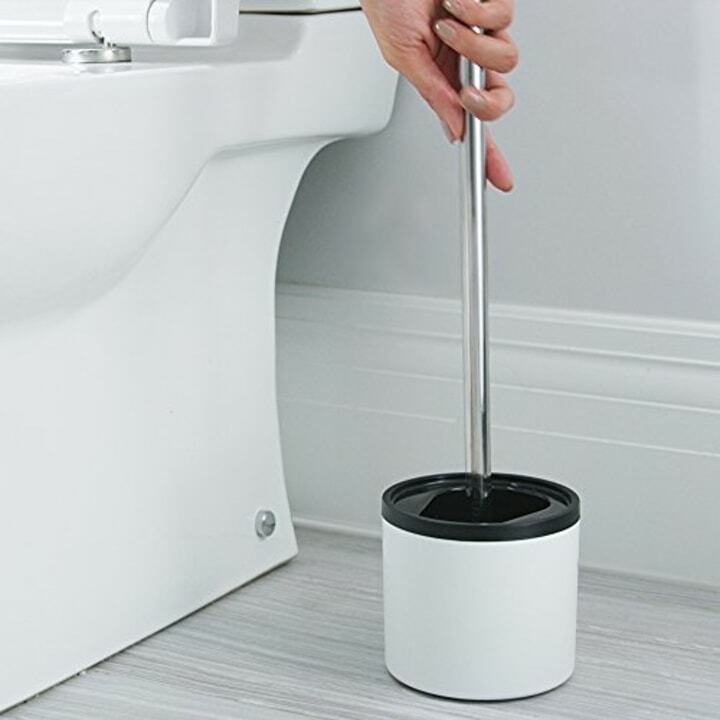 Cleaning the toilet ranks as one of the least fun house chores for almost everyone ... but this new gadget might change that. It’s called the Looeegee Squeegee, and as soon as the TODAY anchors mentioned it on the show, I knew I had to try it in my own home. 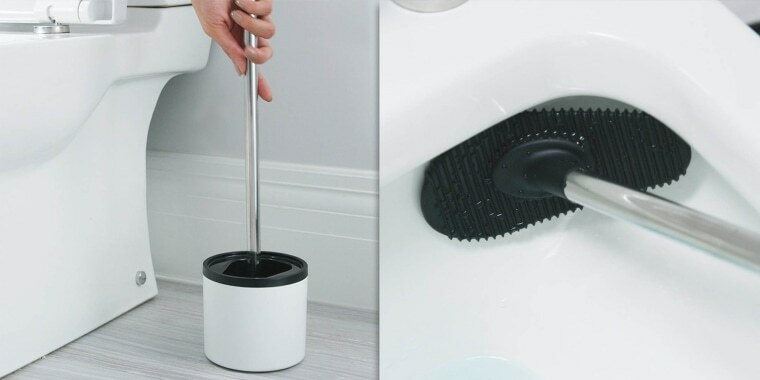 This sleek, smart toilet brush changed the toilet cleaning game. What sets this gadget apart from the bristled brush we’ve all grown up using is the lack of bristles. Instead, 30 micro-squeegee blades are built into a nonstick, flexible silicone pad. The design helps to get a better angle while cleaning and prevents the grossest issue from cleaning with bristles: the dreaded drip. You know the post-cleaning line of toilet water that dribbles onto your floor as you’re putting the brush away? This squeegee actually avoids it! The water-repellent silicone features a drip-free design and helps prevent bacteria buildup in the holder while it’s being stored. And the benefits over a standard brush don't stop there. The toilet squeegee made my toilet squeaky-clean — literally. It squeaked as I moved it across the bowl. The company says the micro-blades help remove stains more quickly with less scrubbing. It's true. I can attest that it made my bowl sparkle and shine. One of the other things I love about this brush is how pretty it is (I’ve never used that adjective to describe a toilet brush — or heck, any cleaning product — before). The sleek white base and silver handle feel modern and clean, so I’m not embarrassed to leave the squeegee sitting in the guest bathroom. I have noticed something that can be improved, though. I tip the base over about 50 percent of the time when I’m putting the brush back in. Because the brush is designed to sit at an angle in the base, if you don’t put it in perfectly, the whole thing has a tendency to fall over. And, the brush is a little on the expensive side. But, if you don't mind the big purchase now, it could actually be worth the investment in the long run. The silicone is much more durable than regular brush bristles, so the squeegee can last longer.